Property Taxes in Italy: What's in Store for 2017? Home » Property taxes » Property Taxes in Italy: What’s in Store for 2017? Property Taxes in Italy: What’s in Store for 2017? To clear away some of the fog that surrounds the tangled issue of property taxes in Italy and what you have to pay for this coming 2017, here is your ultimate Italy property tax guide. 1) Primary home, goodbye TASI and IMU – Abolition of TASI and IMU taxes for principal homes. Luxury homes are, however, excluded from this benefit. ‘Luxury homes’ are all those properties belonging to the following categories: A/1 (stately homes), A/8 (villas), A/9 (castles and palazzi with high artistic and historic value). 2) Discount for landlords – Home owners who rent out their homes with an “agreed rental” contract (canone concordato) will receive a 75% discount on the rates upon which IMU and TASI taxes are calculated. The ‘agreed rental contract’ is a contract with a minimum duration of 3 years plus 2 (or 3) years of renewal for residential properties; from 6 months to 3 years for university students and from 1 to 18 months for brief contracts. 3) Agricultural and building land – There is a differentiation between agricultural land and building area with the first benefitting from an exemption from IMU and TASI. 1) Taxes on the purchase of a property in Italy – Stamp duty (imposta di registro), land registry (imposta ipotecaria), cadastral (imposta catastale) and VAT taxes plus other minor taxes. The “cadastral declared value” of the property on the Rogito (deed of sale) represents the basis (base imponibile) upon which the first three taxes we have just mentioned are applied, whereas VAT is applied on the purchase price and it is due only in case you buy your house from an entity applying VAT – it must be written also in the deed of purchase or in the preliminary contract – or from a developer or a property renovation company within 5 years from the end of the works. – If you purchase a principal home (prima casa) in Italy – in case you take out residency at your acquired property within 18 months from the final contract signing, and spend more than 6 months a year at that address – from a private seller or a company not applying VAT, the stamp duty is equal to 2% of the value (with € 1,000 as the minimum payment due); land registry and cadastral taxes are fixed at € 50 each. – IMU (tax on the ownership of the property): in 2017 owners of primary homes are relieved from IMU unless they don’t own a luxury home (A/1, A/8, A/9 categories). But if you own a second home then you must pay IMU. It is applied on the cadastral value of the property plus a 5% that you have to multiply for a coefficient that may vary from town to town. – TASI: it involves services provided by the Town Hall in which the property is situated, such as taxes on street lighting and maintenance, etc. In 2017 primary homes are relieved from TASI unless you own a luxury home. Also in this case TASI calculation may vary from town to town. TASI doesn’t exist in the autonomous provinces of Trento and Bolzano, where it replaced by IMI and IMIS. – TARI: it involves taxes on waste collection and its payment includes a fixed rate based on square meters plus a variable rate based on the number of people belonging to the family living in that place. The tenant have to pay for TARI and a portion of the TASI. In case one rents your property for more than 6 months in the same solar here but he has no residency in your property, he will pay between 10% and 30% of the total TASI amount, and you will pay for the rest. Otherwise, if it represents his main residence then you are the only one entitled to pay, and you will have to pay for a 90% or a percentage decided by the Town Hall in which the property is situated. >> In any case we strongly recommend you to check carefully the taxes you have to pay and their exact amount with the help of an expert. In the article entitled “Property Taxes in Italy: What’s in Store for 2016?” it was stated that, if you are buying a house in Italy as a second home, in addition to the 9% stamp duty tax on the purchase price, you also have to pay VAT at 10% of the purchase price. Is this correct? If it is, this would mean that you pay 19% tax on the purchase price when you buy. Or is it that you pay 10% tax on the commission which the estate agent charges the purchaser when the the purchaser buys a house through an estate agent? I should be grateful if you would clarify this issue for me. For the purchase of a second home you have to pay: stamp duty (9% on the cadastral value) + registry tax (€50) + cadastral tax (€50) + minor taxes. This in case the seller is a private owner, a real estate agency, a developer or a restructuring company that sells after 5 years from completion of work and opts out of the VAT regime. But in case the seller is a developer or a restructuring company that sells within 5 years from completion of work or that sells after 5 years from completion of work and opts to charge VAT on the sale you have to pay: stamp duty (€200) + registry tax (€200) + cadastral tax (€200) + minor taxes + VAT (10% of the property price). We live in England and would like to know how do we find out if we have to pay IMU this year on a property inherited in a rural location in which we spend 5 months of the year? You have to contact the town hall (comune) where your property is situated and ask them what and if you must pay. It is the only one that knows it exactly and that can tell you what to do as it may change from town to town. In answer to your queries, I can tell you that no reduction is available to you even if the property is empty for part of the year. It is still in your possession and avialable to use,. Therefore as the owner you must pay the full tax. 2. Charges from the comune cannot be aranged to be taken directly from your bank account because that would constitute a direct debit payment and only a UK firm/authority can set up this arrangement.. An Italian entity would not have an authority to do that. However, if you read Italian you should read the Comune website and find out if you can make payments through their portal by credit card. Many allow this facility now and it might be another option for you. 3. The property tax is calculated on the ‘rendita catastale’ of the property and therefore you would need to check your ‘Visura’ document when you bought the property. You would probably need the help of a professional to help you calculate this tax. The cheapest option is always to approach a local CAF (Centro Assistenza Fiscale) office who do this work often and very cheaply. Failing that you could speak with someone at Studio del Gaizo Picchioni who are a firm of commercialisti who helps foreigners in Italy but I might suggest that for this work they might be a bit expensive. I hope this helps. I am a British Citizen, married to an Italian Citizen and have been living in Italy for 20 years. In light of Brexit I am considering becoming an Italian Citizen, but I have just discovered that IMU will be liable on my Edinburgh Flat (in my name) as it is our second home ì- this month we will buy a flat in Milan – it will be in my husbands name as 5/12th of it he inherits – this will be the home where we live – our 1st/principal home. I would appreciate advice to help me decide on the tax implications on my Edinburgh Flat (purchased in 1987 for £29,100 ) will change when/If I become an Italian citizen. As a resident in Italy or if you make and application and become an Italian citizen (I am following the same path), you have to pay tax on property owned overseas. This falls under a law in Italy called IVIE: (Imposta Valore sul Immobiliare dal Estero). The rules surrounding this are 2 fold. 1. If you generate any income from the property you must declare the NET UK income position in your Italian tax return. This means you must subject the rental income to the UK tax system first ( as it is an immovable asset located in the UK) and after deducting any allowable expenses in the UK and obtaining your UK NET taxable position, the remaining figure goes in your Italian tax return. Any UK tax paid is given as a credit in Italy under the double taxation agreement. 2. The property itself is subject to a wealth tax in Italy. This is calculated by taking the ‘council tax band value’ of the UK property ( not the market value), choosing whether you want to use the lower, middle or higher end of that value (as the UK council tax value is listed in this way) and then that figure is subject to a tax of 0.76% PER annum. Those are the taxes on UK property, income and value of the property, for a Italian resident/citizen. If you have been an Italian resident for the last 20 years you should be declaring and paying this tax anyway. It is not dependant on Italian citizenship. If you check the Agenzia del Entrate document on this issue it refers to ‘persone fisiche in Italia’ who must pay the tax. i.e residents. Hope this helps. Hi, great article ‘Property Taxes in Italy: What’s in Store for 2016?’. I am going to be gifted a property in Italy, what will the stamp duty be since the purchase price will be €0? Will I have to pay the €1,000 minimum? No, you will not have to pay the minimum sum of €1000. What you will be required to pay are the relevant taxes for the donation (gift) procedure, and fixed Land registry taxes and duties amounting to €200 each, applied to a first house option, or alternatively 2% and 1%, applied to second home options. I am buying in Caccamo for approx 10 000 Euros does anyone know how much tax I will be paying on it plus yearly rates and taxes. The Land Registry stamp duty for such a purchase is 9% or 2% respectively, if the property is a second or first home purchase. Further duties are due for the fixed amount of €50 each. Please note, you should consider who the seller is, as the purchase could be subject to VAT. Could you tell me if your Capital Gains tax is taken straight from your sale monies at the Notary Office on completion, or if you can pay it at the end of the tax year. Thank you, I have searched high and low on the net for information on this to no success. Subject to the law and depending on the details of the property, you may be able to pay a flat rate Capital Gains Tax amounting to 20% of the sale monies directly via the Notary, if you request to do so. Alternatively, you may also pay it at the end of the tax year, but you would then be subject to the regular rate of Capital Gains Tax. Hi My parents have a house built on family land in Sicily. My mum seems to think that the property tax goes down to 0% if the house remains uninhabited (as opposed to uninhabitable) but if they go back they will have to pay the X years when 0% was paid. Does this sound right? Thanks in advance. it is not true that property tax goes down to 0% if the house remains uninhabited (as opposed to uninhabitable). Taxes upon property have always to be paid unless the building is considered as a “ruin”. 10.6% of what exactly? The purchase price of the property? The cadastral value? Or possibly some ambiguous and arbitrary figure based on your total wealth, which by then the Italian finance ministry will have a very good picture of once you have submitted all your ‘private’ details to for tax purposes? it is possible to calculate the costs only if you know the “cadastral value” of the property. It is different (i.e. much lower) than market value (77,000 Euros). Thank you very much for such an informative article. However, I have a question: I’m from Canada and I intend to purchase a property in Parma with an intention to move to Italy. Therefore, I will apply for the selective residency visa after the purchase because I will have to proof that I have a lodge in Italy. My question is: am I qualitied for the tax reduction for first home owner for primary residency, even if I don’t have the visa when I am buying the property? You mentioned that I should becomes a resident and living in the purchased property within 18 months of signing the final purchasing contract, then live there for at least half of the year. Does it mean that I can pay the reduced the tax at the time of purchase or I get tax return when I get my selective residence visa and moved to Italy ? for sure you are qualified for the tax reduction for first home owner for primary residency, even if you don’t have the visa at the moment of buying the property. Indeed, at the signing of the title deeds you just undertake to become resident by 18 months. Therefore, you pay the reduced tax at the time of purchase whereas it is not possible to get tax return if you pay in full on purchase. Hi, could you please advise on the amount of Imu that I will have to pay on a plot of land in Calabria in the south of italy there are no buildings on this land and is 1400 sq mtrs in size. In 2015 I paid approx 420euro on a request for ici on this land, and now received a Imu request for 419 euros dated 2012. In this case you really need to call or go to the local municipio or CAF (Centro Assistenza Fiscale – Centre for Fiscal Assistance) to find that detail out since we don’t know the amount of local taxes one have to pay in that area for that type of land. In fact, they vary from town to town. So your option would be to ask locally. thank you for your reply I suspected as much. Locals are right, in Calabria there’s no “imu agricola” any more. I must compliment your very lucid and easy to understand (in English !) website – makes a world of a difference for those of us that are NOT fully conversant with the Italian language (as yet !). Last year (2016), we purchased a small cottage (viletta) in one of the small villages on the Western shore of Lake Como. We wish to now offer it for year round rentals and I wanted to inquire WHAT my tax liabilities would be in this case for any income “earned” through these anticipated rentals. Further, if you could also elaborate a little bit on what exactly my annual taxes will be for ownership of this house property in Italy. We are NOT going to be full-time residents in Italy and will probably just visit once or twice every year. Finally, would you be able to recommend / suggest a reliable and reasonably-priced Accountant (CA / CPA) in North Italy (ideally, in the vicinity of Como) who could help us with the annual computation and filing of our Italian “taxes” going forward ? This will be immensely helpful for us. Meanwhile – many thanks (in advance) and all best wishes ! Hi. Did this question get a reply? It is very valid to me as I have almost the same query. Could you please, tell me VAT rate, for buying an apartment for Non EU citizens (small modest apartment -30 000€ limit )? In answer to your queries: If you are buying the apartment from a real estate agency and you are not resident in Italy, you will have to pay the full VAT 22%. Instead if you become resident in Italy, you have the incentive of paying the 4% as it will be your first house. Dott. Geom. Morales Sergio A. Question regarding taxation on building new property in Italy – if you were to build a new residence on land that had been owned for more than 5 years, are you liable for CGT or do you qualify for the exemption? Am awaiting permissions etc, but unsure on the best legal structure to sell the newly developed residence. Any pointers gratefully received. The fact that you owned the land for 5 years is not relevant to taxation feeds. Is only relevant when you purchase the land and then you sell it before the fifth year, that will cause you to pay a “surplus” if you bought the land with a tax reduction incentive. While the house is under construction, there are no taxes to be pay, only town hall feeds like: “Costo di Costruzione” & “Costo d’ urbanisation”. Ones you construction is finish, you need to do the “Accastastamento” of the property and is there when you need to start paying taxes. Depending, if that house represent the first or second house to the owner, the taxes vary from 4% to 10% on the “Valore Catastale” of the property. These are the initial taxes to be pay. Don’t forget that is the property is declared as a second house, you will have to pay yearly the famous IMU. If you have any other doubts, please don’t hesitate to contact me. please help if you would be so kind. I live in EU (Hungary, I am Hungarian). I Would like to buy a 80 sq meter apartman in a village center seaside in Italy. 1, that will be my primary house in Italy as for tax? Ask because I have house in Hungary. 2, The price would be apr. 700 thousands EUR. what is luxury home means in italian law? the price matter anything? 3, I want to live in Hungary furthermore, the tax will be 9 percent after 18 months? Or it does not matter because it is an apartment in a village. I would buy it from a private person. My mom is an American citizen living in the US but she was born in Italy. She owns a condo apartment that we are looking to sell. She bought it over 30 years ago. If she were to sell it, what is her tax liability to the Italian government? The Patronato here in the US told us she does not have to pay any taxes. I would be very grateful for your input. Analysing the selling conditions of your mother and should confirm what the Patronato told you. There are not taxes to be pay because is more than 30 years of ownership. This is why is convenience to sale any property after the fifth year of ownership, in the likely event of having purchased the property as “first house tax deduction” here in Italy. Please feel free to ask for any doubts you might have. Thank you for this information in English. I have a question. We are currently resident in Sardinia (UK citizens) and are considering buying an apartment here. If, after the purchase, we move abroad (for my child’s schooling), how will that affect the yearly property taxes and will we be able to maintain our residence? I don’t want us to lose our residence (since after Brexit we might not get it back) but if we move abroad for school we will have to be away for most of the year. Is the validity of the residence permit based on being here a certain number of months per year? Many thanks in advance, kind regards. I wonder how come you are currently resident in Sardinia if you didn’t buy an apartment yet. A assume you didn’t get the legal status even though you just live there. However, I have to say that to get the status of resident (and then maintain it) it is necessary you to spend most of the year in Sardinia (i.e. at least 6 months + 1 day…). We are Americans who own a vacation home in Italy that is worth around 400,000€. If we include this home in our U.S. will and specify that the succession be governed by the inheritance laws of the U.S. , will our heir (a cousin) still be subject to Italian inheritance tax according to the Italian succession laws, which is 6% for cousins? If so, what other taxes will my cousin have to pay when he sells the property on top of the 6% inheritance tax? your heir will anyway be subject to Italian inheritance tax (6%), however he will not be subject to any capital gains tax if he sold the property by evaluaiting it the same price it had been declared to in the succession process. However, this is valid for 5 years’ tiime from the moment he gets the title of ownership (i.e. the succession process is completed), so if he holds the property for more than such a period he wouldn’t be charged any taxes. This is a terrific forum for understanding taxes. Thank you! My wife and I purchased a home in Mortola Inferiore, commune of Ventimiglia in Liguria. We purchased the home with a second parcel that is a citrus orchard. The orchard can only be reached on foot by a public path and no home or structure can ever be built on the orchard. We recently received a property reassessment notification along with a penalty fee that increases the value of the orchard and the land our home is on by more than 5 times! The penalty claims we did not properly declare the value of the property two years ago when the purchase was made. None of this makes sense to us. The questions: Can we appeal the assessment? Can we make clear that the orchard is agricultural? Other than running new plastic drip lines to the orchard and gardens surrounding our home, we’ve made no other land improvements. Will these facts help us challenge the reassessment? Lastly, there are law firms, such as Rossi and Associati, that appear to help with Italian tax issues. Do you recommend hiring a tax attorney to assist or are these matters best handled by the home/property owner? the property reassessment you’ve received should have been sent together with some kind of attached document issued by the Municipality that specifies the reasons why reassessment has been carried out. Hence, it is possible to understand if anything can me made only by knowing said reasons. We are thinking about buying a house for renovation in Mogliano, Marche. The house is owned by a fondazione. How much tax will we pay at purchase and how much tax do we pay per year owning the house. And as I understand it the yearly tax is based on the Cadastral value that I understand is very low. the taxes you have to pay to buy it from a Fondazione are not different than the normal ones (i.e. from 4% to 9% of the cadastral revenue). I confirm that the yearly property tax is based on the cadastral value that is much lower than the market value. Can anyone help with some advice? I run a small property rental business for holidays in Tuscany from the UK. A new law is now coming into place in Italy for agents advertising on holiday portals that the agent has to take 21% tax up front from the owner and keep it to pay over to the government. This is apparently to stop people renting on the likes of Airbnb without paying tax. If anyone could guide me here it would be of great help. I bought a new holiday apartment 10 years ago in Bellano, Lake Como am i am looking to sell and buy a slightly higher priced property in the same area. Could you tell me what if anyone my additional costs with taxes and notary fees on a sale and purchase from a private owner. only knowing the cadastral value (you can find it on a simple survey) of the property you are going to purchase it is possible to callculate taxes and related costs. Does IVIE apply if the foreign propery is rented out? Currently considering a move to Italy from the UK. The plan is to keep my UK property and have it rented out. I’ve never heard about “IVIE”, but I can assure you that any income from the rent of a property in UK has nothing to do with the taxes you have to pay in Italy. I live in Britain and I have an apartment in Italy. Is it correct that if you have retired you don’t have to pay the IMU?At the moment I’m 62 and semi-retired, does this rule apply to me too? I own a property in Italy on the Adriatic coast and am looking to sell it, what taxes do I have to pay? To a general extent, in case you sell your home within 5 years from its purchase or construction, then you are liable for a tax on any profit (difference between the purchase price when you bought it and the selling price when you’ll sell it) called ‘plusvalenza’ in Italian. But you don’t need to pay any tax in Italy if you’ve owned the property for more than 5 years; if you previously received the property by succession or if it has been the main residence of those selling the house for the most part of the time from its purchase/construction to its sale. My 2 brothers and I i(uk resident) inherited 2 apartments in Calabria for which we have paid IMU since my mother passed 4 yrs ago. Prior to my parents passing away (father in 2010 and mother 2013) they started a 3rd apartment across the top of the ground floor ones, it is still incomplete, we discovered when paying the tax last year that it does not have planning permission, however we noticed that we for 2016 and 2017 are now being charged the IMU for the 3rd apartment which for all intents and purposes does not exist. We have questioned it to be told that we have to pay, but we can still not sell it. Do you know if this is correct. also the amount we are now charged is about 5 times the amount my mother paid while she was alive. it is not possible you have been charged IMU for an apartment that has not been granted the planning permission, hence there should be another reason you have been charged to pay anything. Obviously, it is not possible to undestand this without having a look at the documents. I have a property in Italy and the UK. I am non resident and pay ICI .Am I required to pay tax on my UK property in Italy? Is it advantageous to become resident in Italy and the UK if I wish to sell the Italian property? don’t worry, you’ll never pay taxes on your UK property in Italy! Anyway, you cannot be resident at same time both in Italy and UK, and this doesn’t affect the sale of the Italian property. how much sales tax and other fees we should to pay? How much property tax will be? How much water, electric, gas cost? Both sales tax and property taxes, will depends if you will apply for the Italian residency! Also the cost of Electricity and water depends on the residency. Renovation work in Italy, what % of tax do I pay as a non resident and if the work is guaranteed, what documentation should I be given please? All works were handled by an agent, what should we have received from the builder after payment was completed? Some repairs required already after less than a year due to bad weather they say. Can we claim tax back if we sell the property? Renovation works in Italy make you pay 10% vat I pay as a non resident but the work is guaranteed as per law and you are provided with the guarantee document. After payment was completed, you should have received from the builder both a payment’s receipt and said guarantee document. You can never claim back any taxes, but in your caase you can ask the builder to be compensated for the damages. Hi. I am married to an Italian woman and have sold our property in England and are looking to purchase a property in Tuscany of approximately €150.000. Could you tell me what taxes, estate agents fees etc I will have to pay on top of the price please. if you buy a re-sale property you have to expect a 9% registry tax calculated on the cadastral value (not the market value!!!) of the properry (4% if you buy as first home to establish your residency there), together with 3% of the purchse price to be paid to the Estate Agent, notary’s fee (approx. 2,000 Euros) and solicitor’s fee (around 1,000 Euros). My husband (Italian) and I built a property in north italy on land that was given to him by his parents, however the property/land is still in his mother’s (Italian) name. What is the best way of getting our name on the property? What are the costs involved in gifting the property to us, including taxes and solicitor fees? (just to give us an idea of price). I was told by someone that solicitor’s fees would cost 10,000 euro at least. Would this be true? you’d pay between 4% and 9% of the cadastral value (not the market value!!!) of the land in taxes, together with notary’s fee (around 1,500 Euros) and solicitor’s fee (around 1,000 Euros. The estimated cost you’ve been given is certainly too high. I purchased a property in Lazio with my wife in Feb 2016 and at the time expected it to be a second home. As a result we paid the 9% taz rate. Since then I have spent most of my time in Italy (>6 months per annum) and obtained residency 9 months after the purchase. Am I able to retrospectively claim a refund of the difference between the 9% rate for second home and the 2% rate for a ‘prima casa’? unfortunately it is not possible to claim a refund of the difference between the 9% rate for second home and the 2% rate for a ‘prima casa’, as the tax rate is based on the personal conditions at the moment of the signing of the deeds. Hi, I need some information regarding paying council tax on a property in Italy that I inherited from my grandma. There is no water,electricity, gas or kitchen. No internal doors,and all floors need sorting. It’s actually uninhabitable as it stands. So, do I still have to pay the ‘Spazzatura’ for this property or not? Hi I’m just looking for a bit of information. My nonna owns a house in Sicily but due to health problems of her husband she had to move to Turin for help from family and better medical care… she is registered in Turin now after being there for a while and is renting an apartment.. she has been told that she now has to pay tax as she has been told that she owns two houses because she’s living there… is this correct? As she only actually owns one house. The other one isn’t hers it’s just a rental. German national here, considering a move to Sardinia to reside full time and buying a first house on 2 hectares of land with some vines and fruits on it. what are the taxes be looking like for that? At first, I want to say thank you for very informative site and professional feedback to your readers. We’re planning to buy a house in İtaly with my husband and move there (we are Turkish and Russian citizens and don’t have real estate now); and we’d like to purchase the house giving us possibility to pay 2% of tax instead of 9%, because house we’ll buy will cost around 500,000 Euro. I’ve searched İnternet thoroughly but couldn’t find information clarifying what types of houses in İtaly considered as luxury. ‘’A/1 – exclusive, A/8 – villas, A/9 – castles or buildings of immence historical or artistic significance’’ – only ‘’A/9’’ seems clear to me, but when it comes to ‘’A/8’’ and ‘’A/1’’ I get confused. There are types of property which might be classified as ‘’A/8 villas’’: villetta, villetta indipendente, villino. Are they considered as luxury and require to pay 9% tax on buying? İs semi-independente villa, villa bifamiliare, porzione di unifamiliare luxury property? What about villa a schiera, sachina, casa vacanza? Can a luxury apartment in a complex with a swimming pool be considered as ‘’A/1 exclusive’’, could you explain in examples, please, what items of property are ‘’A/1 Exclusive’’. Also I would like to ask, if we buy a principal home and reside there for 18 months after the contract signing, but then stay there less than 6 months every year, will we be liable to pay fine or difference between 9 and 2% on imposto di registro? There are so many characteristics that make a home a luxury property, some of which are for instance the presence of a net living space measuring more than 240 m² for houses and more than 160 m² for apartments; a swimming pool of min. 80 m² or a drained tennis court of min. 650 m² and so on. In any case you can find out to which category it belongs in the cadastral map excerpt of the property. Luxury properties are those belonging to the following categories: A/1 (stately homes), A/8 (villas), A/9 (castles and palazzi with high artistic and historic value). For those properties you’ll pay 9% tax on buying (it is calculated on the declared cadastral value). To consider your home in Italy your ‘principal home’ these requirements must be met: it must be registered in the land registry as a unique property in which you and your family normally live and are identified as being resident there. My husband and I are Italian (I have recently gained citizenship through marriage- I am also American). We live in China, but are considering buying a home in Italy to be used as our primary residence, although we will only be there in summer until we eventually repatriate to Italy. We own no other properties. If we are not registered as residents, because we live in China, will the home automatically be considered a second home? For a property to be considered as a principal residence, the owner must have Italian residency. I am looking to find some information on the passing of the Airbnb tax law in Italy but there seems to be near to no discussion online as to what this implies for foreign property owners that rent out their house/flat in Italy. As far as I have understood, Airbnb is refusing to pay any kind of tax directly to the Italian fiscal authorities putting the onus on property owners to take this up directly with fiscal authorities. As a property owner are we liable to pay VAT and income tax? I don’t understand how we can be charged on both VAT and income tax as this is taxing the same cash flow. Would be great if you could shed some light on this. How high is this VAT tax and who is it payable to? Can we deduct any allowable expenses such as repairs/gardening etc. for maintenance of the flat? If you have any information on what other rental property owners are doing it would be great to hear. Does it make sense to incorporate and rather pay corporation tax on rentals to reduce the tax burden? 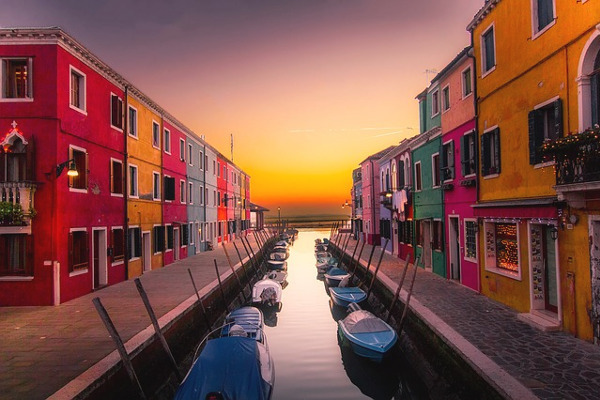 The “Italian Airbnb Tax” is a taxation system applicable to the short-term rental (max 30 days) of Italian residential properties and is not exclusive to Airbnb rentals. It gives landlords the option to apply a 21% tax to short-term rental income, instead of the traditional taxation based on total personal income brackets (ranging from 23% to 43%). If you opt for the 21% tax, the short-term rental income will not be subject to Municipal and Regional income tax. In any case, we advise that you check your situation carefully with an expert. My parents have a primary home where they live in Italy, they are Italian. I am a UK citizen, living in UK. When I inherit the home in Italy one day, what taxes do I pay, and are the taxes more because I am not an italian citizen (as that is what I heard). My husband and I purchased a house in Abruzzo in 2016. We have decide to buy another property near by, due to spiraling restoration costs. It is our prima casa, and we have residency. We estimate that we will lose money on the sale of our original house, and wonder what the Capital Gains implications are regarding this? If you purchased the property in 2016, this means less than 5 years ago, the difference between the sale price mentioned in the formal sale deed and the purchase price mentioned in the purchase deed will be subject to capital gain tax. The current capital gain tax rate is 20%. Under certain circumstances a lower rate can apply. If the resale is subject to capital gain tax, usually most of the costs related to the property (e.g. transfer taxes, notary fees, renovation costs, legal fees, etc.) can be deducted from the sale price, resulting in a lower capital gain tax. In this case, the payment receipts should mention the property details and should be kept available if needed, for capital gain deduction. However you need to check it out carefully with an expert. Hello and thank you for a great article. I’m still a bit confused about stamp duty tax for first time buyers of luxury homes. I’m looking into purchasing a luxury home, this will be my first and primary residence in Italy, will I have to pay 2% or 9%? Also, I am a Canadian citizen, by law I’m allowed to live in Italy without a visa 6 months per year, is it still necessary for me to apply for an Italian residency? Lastly, how much on average are IMU, TASI and TARI on luxury homes? Thanks very much. 1) You will pay stamp duty 2% only in case it is your first and primary home = the only property in which you and your family normally live and are identified as being resident there. 2) Apply for residency is not necessary unless you want to make your Italian home your primary home. Other benefits are for example the possibility of enrolling in the National Health Service and benefiting from the health care assistance provided to Italian citizens or reduced payment of a 4% tax on the purchase of your ‘main home’. 3) It’s not possible to say how much on average are IMU and TASI as they depend on the cadastral income of the property (to be found on the purchase contract or the cadastral map excerpt) while TARI depends on square meters plus a variable rate based on the number of people belonging to the family living in that place. Hope this will help a little bit. I am an American and intend to buy a property in Rome center for roughly 1000000.00 (1 mil.) Euros. I am not a resident in Italy. Please itemize the taxes and fees I will need to pay upon purchase. I also intend to rent out the property please also outline the taxes and fees I will need to pay as rental. If you are spending a million dollars, I think you can pay an attorney or notaio to do all the maths for you. Hello, I’ve read that if you’re purchasing a primary home and it’s a luxury home the stamp duty is 9%, is that correct? What is the stamp duty on a secondary home if it’s a luxury home? 1) The property company have quoted us an “auction fee of 2000 euros +Vat” and a “notary fee of 2500 euros + vat”. Are these charges normal and reasonable and is there an alternative (cheaper) way to do these than using the property company. 2) I understand we will pay 9% stamp duty (as non-residents) on the land when we purchase it, but is there any way to roughly calculate the stamp duty payable on the house when it is completed? Does it relate at all to construction cost which we estimate to be around 150,000 euros. Very good and concise article. Thank you. I am reading mixed explanations about what is considered primary vs. secondary residence. Does the primary/secondary refer to number of properties in general or specifically in Italy? Does actual Italian residence come into effect here at all? I am not an Italian resident or citizen. I am considering buying a property (non-luxury) for vacation purposes. I own an apartment in my country of residence. Would the Italian property I am seeking to buy then be considered primary or secondary? Can you please tell me that if I predecease the sale and transfer of my property, will my sons as inheritors of the property be liable for Capital Gains Tax, if they sell the property within 5 years of their inheritance.